Tableau, over the years, has become a tool to assist people with the power of data. It has changed the way people see and understand data with its robust, scalable platform. With products like Desktop, Prep and Server, Tableau has covered all avenues of visual analytics from an individual to an enterprise level. With tech-giants like Amazon, Adobe, Cisco and Walmart as clients, Tableau is growing strong. That is why it is regarded as one of the most widely-used business intelligence tools in the market right now. Adding Tableau skills to the already diverse Data Science armoury has become a norm and industry experts are urging beginners to do the same. Tableau users who have a basic to an average understanding of the various features available in Tableau. 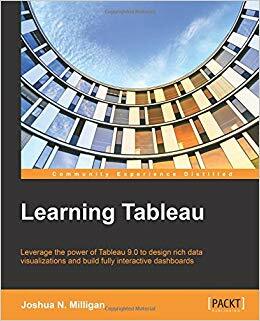 This book is useful to those spend a lot of time conducting data analysis and visualisations with Tableau. This book illustrates how to connect to a variety of data (cloud and local) and blend it in an efficient way for fast analytics and perform advanced calculations such as LOD calculations and Table Calculations. 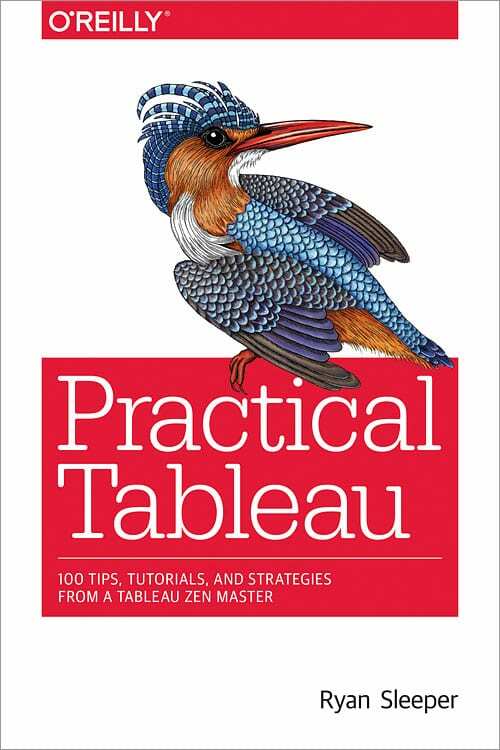 This book is packed with lots of real-life problems with step-by-step instructions from Tableau experts. This book particularly deals with creating stylish visualisations and dashboards that explain complexity with clarity. Explore all the new features in Tableau 10 and get insights on what business analytics means to an organisation. Author Ryan Sleeper, one of the world’s most qualified Tableau consultants, complements his web posts and instructional videos with this guide to give you a firm understanding of how to use Tableau to find valuable insights in data. Whether you have some experience with Tableau software or are just getting started, this manual goes beyond the basics to help you build compelling, interactive data visualisation applications. 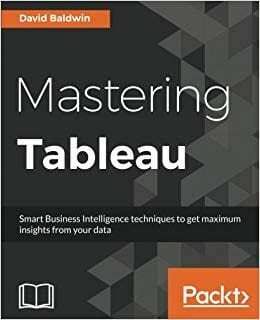 This book is a practical guide about how to use Tableau Software to convert raw data into compelling data visualisations that provide insights for the viewers to explore the data for themselves. Ideal for analysts, engineers, marketers, journalists, and researchers, this book describes the principles of communicating data and takes you on an in-depth tour of common visualisation methods, how to use blended data sources to create ratios and create charts to depict proportions and percentages. David Baldwin has provided consulting in the business intelligence sector for 17 years. His experience includes Tableau training and consulting, developing BI solutions, project management, technical writing, and web and graphic design. 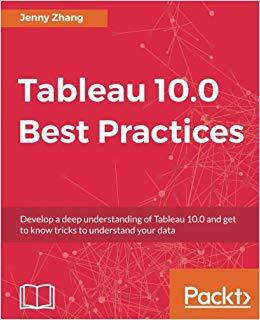 This book will empower you to become a master in Tableau by exploiting the many new features introduced in Tableau 10.0. These techniques include creative use of different types of calculations such as row-level, aggregate-level, and will discover how almost any data visualisation challenge can be met in Tableau by getting a proper understanding of the tool’s inner workings and creatively exploring possibilities. 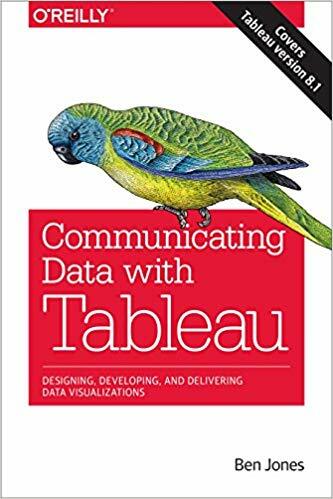 By the end of the book, you will be equipped with all the information you need to create effective dashboards and data visualisation solutions using Tableau. Style and approach. This book takes a direct approach, to systematically evolve to more involved functionalities such as advanced calculation, parameters & sets, data blending and R integration. This book will help you gain skill in building visualisations previously beyond your capacity. Though modern day internet services allow for a much diverse platforms to learn and practice Tableau from, this article is for those enthusiasts who would like to take it slow and would love to possess a guide, which they can pick up from the shelves on demand.